One of the biggest things that my wife and I enjoy about life on the west coast is the mild climate and often generous weather. I’ve rambled about this accoutrement before. Yes, even when it rains here it is often warm. Even in the middle of January. When we lived in Victoria some 6-odd years ago, we made it a habit to walk a few kilometres each day. It wasn’t a forced activity – we were in our mid-20’s and not particularly driven by health or fitness like we are beginning to be now. No, it was something we simply enjoyed doing. Victoria was particularly conducive to long walks. The city, where we lived (rather close to downtown and rather close to the beach), felt small and localized. Over the course of three hours we could walk along the ocean, through a park, past the cruise ship docks, beside the majestic provincial legislature and in and out of downtown on our way home. It was relatively flat, too, which was nice. Walking is a great way to see the city you live in; see it change, understand it and its people and maybe give you a few more reasons as to why you live there. It’s useful for reconnecting with yourself, too, mentally, physically and spiritually since you input what’s going on around you a bit slower and more deeply. Calgary did not offer us such enticing walks whether in terms of scenery or proximity to anything interesting. It seems that you have to drive everywhere to get anywhere in Calgary (here I go again). Even moving into an inner-city neighbourhood, our walks took half-hours to get anywhere. 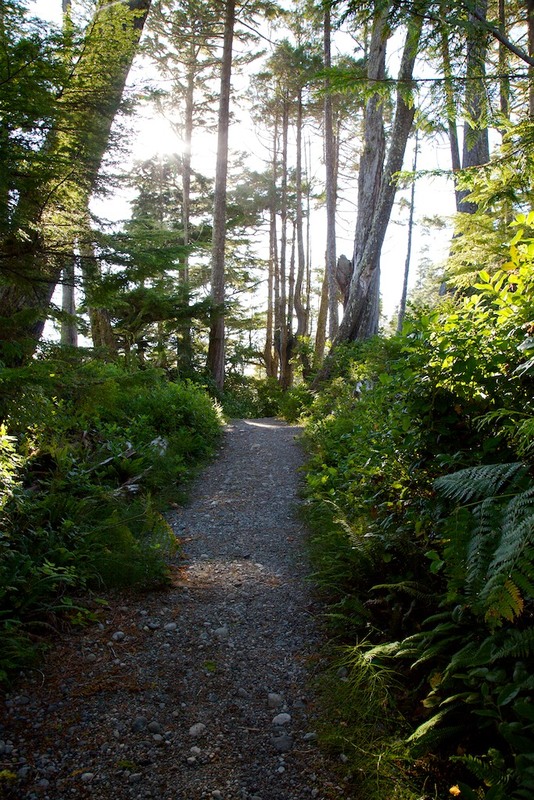 Some of the principle reasons for returning to the coast was the outdoor lifestyle, the way Vancouver and Victoria are designed to encourage spending time outside and the anticipation of returning to our refreshing, invigorating walks. Well, we haven’t exactly returned to our walking ways, and we regret it. Cooped up in our little house more often than not; deferring to reading (my wife) or watching sports (me), we’re not taking advantage of the environment we’ve worked so hard to surround ourselves with. Despite the change in seasons and return to wet weather, I am certain that this is something we’ll soon change. Perhaps tomorrow. Vancouver is GREAT for walks. Next time I’m over lets do one!